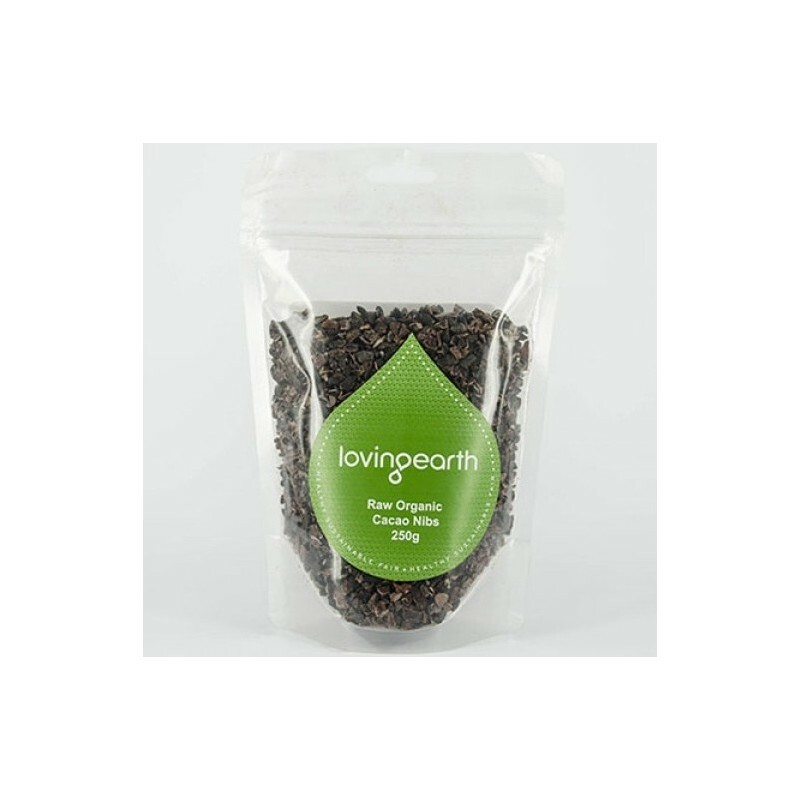 Organic raw cacao nibs are a versatile super food packed with healthy antioxidants, nutrients and magnesium. Made from an heirloom variety of Peruvian cacao grown by the Ashaninka and Chene people of the Amazon. 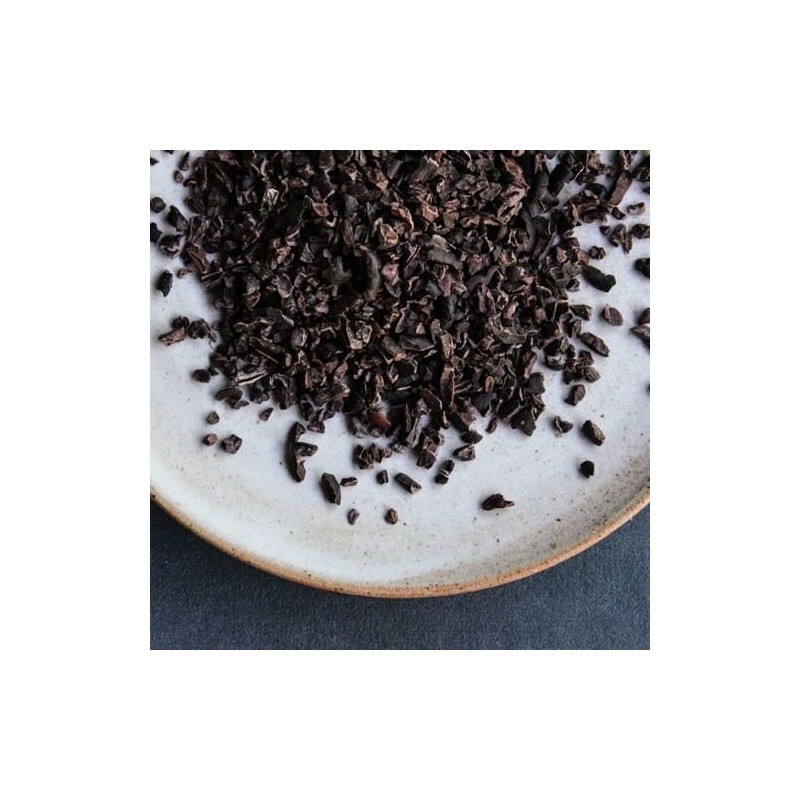 Organic raw cacao nibs are a versatile super food packed with healthy antioxidants, nutrients and magnesium. 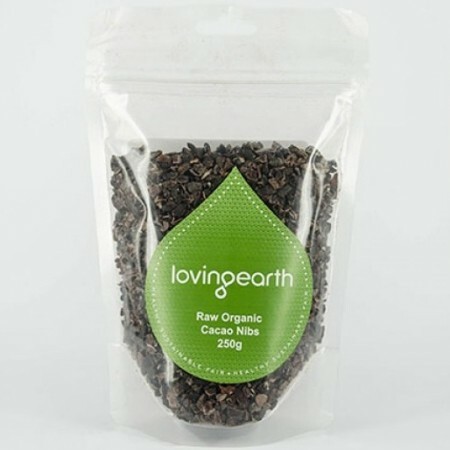 Loving Earth raw cacao nibs are made from an heirloom variety of unroasted Criollo Amazonico Cacao, grown in the Amazon rainforest of Satipo, Peru. Cacao is a staple ingredient in many raw & vegan food recipes - for inspiration see our collection of vegan recipe books. Organic raw cacao nibs. 250g. Browse our other kitchen & food. My favourite use for these is as a substitute for walnuts when I make banana loaf, as you still get that bit of texture but people allergic to nuts can usually eat these. They are also great instead of chocolate chips in cookies or sprinkled on top of smoothies. They are pricey, but you only need to use them quite sparingly. These taste nice and sweet. Perfect for using in cooking. A very versatile product.